To Beard or Not To Beard?! All this rain is causing me to go mad! I’m entering uncharted territory and discussing the sensitive topic of wedding day facial hair. Weather you know it or not, we are smack dab in the middle of the “lumbersexual” era. That was a weird word to type! Sort of an urban mountain man or a hipster with a perfectly groomed overgrown beard! Now, I have to admit that I am a little biased on this subject because my husband has quite the beard and while I was not impressed for a long time, it is starting to grow on me and I prefer it now! 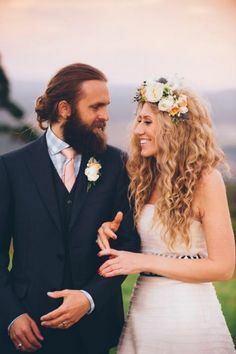 Facial hair has always been a no-no with brides as an option for their grooms to sport on wedding day. 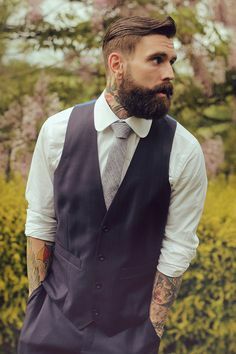 Well, lucky for those grooms that refuse to lose the manly beard, they don’t have to anymore! 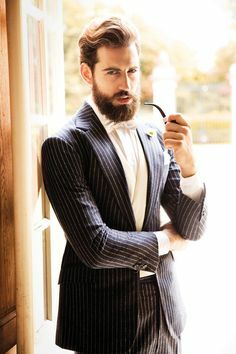 Is facial hair appropriate for the wedding day especially bushy beards and mustaches? I say absolutely!! And I don’t say yes because I think that it is hot hot hot! 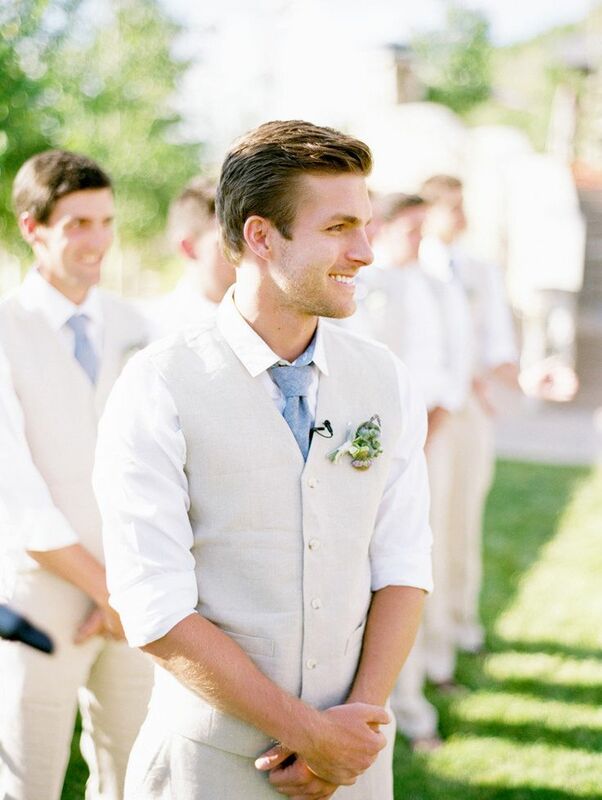 I am a firm believer in letting your man be himself on your wedding day. It is no different than the advice that we give brides to look your best normal self as possible on wedding day. Meaning, if you usually wear your hair down, don’t opt for a tight updo. Rather, go for a full, wavy curl with maybe a beautiful hair clip or flower. Same goes for your groom. 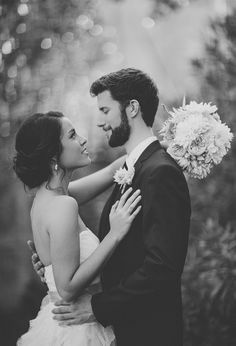 If he has had a beard or light facial hair since you have been dating, don’t make him shave his face bald for the big day. If I have learned anything in my eight years of marriage, it is that my husband’s personal style and facial hair is his manhood and the only thing he has full control over! Enjoy ladies and you’re welcome! 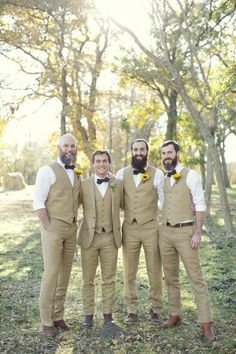 This entry was posted in Fashion, Get Inspired and tagged beards wedding, Glendalough Manor, groom beard wedding day, lumbersexual, outdoor wedding, wedding day facial hair. Bookmark the permalink.